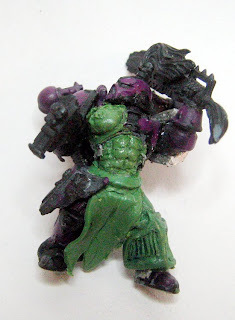 Today i have a few greens together of some converted emperors children noise marines, based on the chaos space marine model. 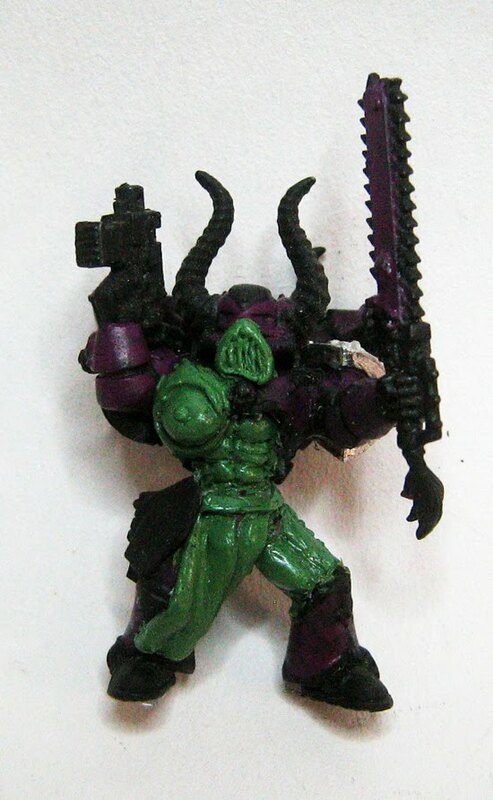 As there isn't a standard noisemarine model other than the sonic weaponry, one torso, a backpack and a few heads i've decided to sculpt on additional details as seen in some of the slaanesh art work. I've added talbards, sections of exposed skin the hermaphroditic breast, leather armour coverings and speakers onto the models, all being very symbolic of the legion. The most involving bit of this process had to be the resculpting of the abdominal area. To do this the model had to be separated at the waist, hollowed out with a grinder, and finally re-pinned in place to allow for ample sculpting space. Overall i find the effect to be quite striking and i'm looking forward to painting up these devious minis. I love the abs! He's so jacked!